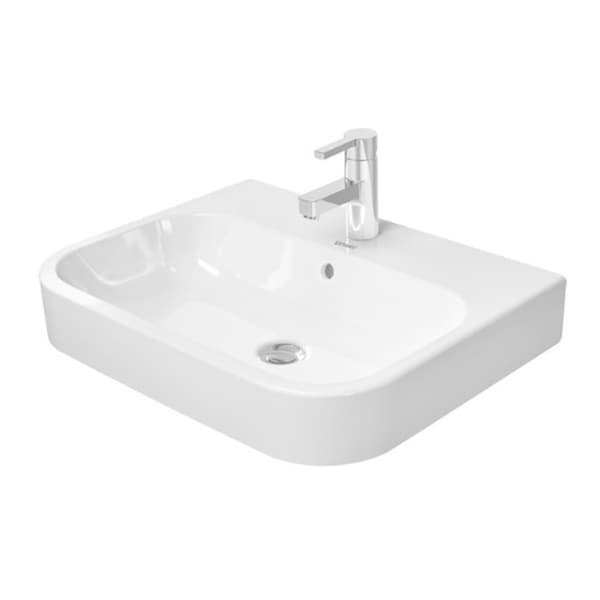 Give your bathroom a fresh new look with the Duravit Happy D.2 Washbowl with Overflow and Tap Platform. This sink does not come with a faucet. Dimensions 25.0 In. X 20.0 In. X 8.0 In. "I purchased this item because it was advertised as a wall mounted sink but when it arrived it doesn't appear to be a wall mount. Can you clarify?" Hello Alyssa V. For assistance with this issue please contact Customer Care at the number below. I hope this helps, thank you for shopping with us! U.S. and Canada Toll free: 1-800-The-BIG-O (843-2446).